Come back often for highlights from additional projects! 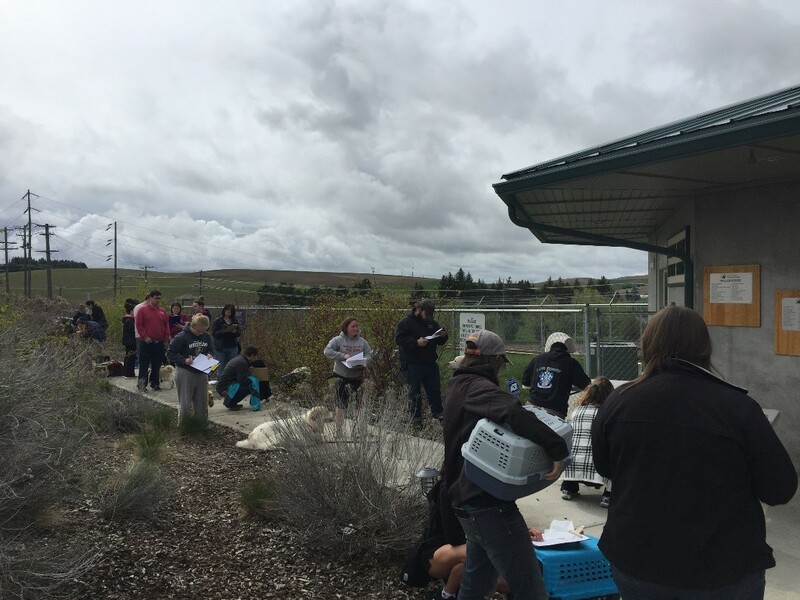 With the help of student chapter project funding from the ASV, the Washington State University Student Chapter of the Association of Shelter Veterinarians (Shelter Medicine Club) hosted a successful low-cost microchip clinic for the Pullman community. The event, held at the local humane society, was a tremendous success! Nearly one hundred dogs and cats received microchips in just four hours. ASV funding was used to purchase microchips, while Shelter Medicine Club and Whitman County Humane Society (WCHS) coordinated and advertised the event. Student volunteers from all class years were recruited from the ranks of Shelter Medicine Club to help at the clinic. With veterinary supervision, twenty club members greeted clients, handled paperwork, and microchipped pets. 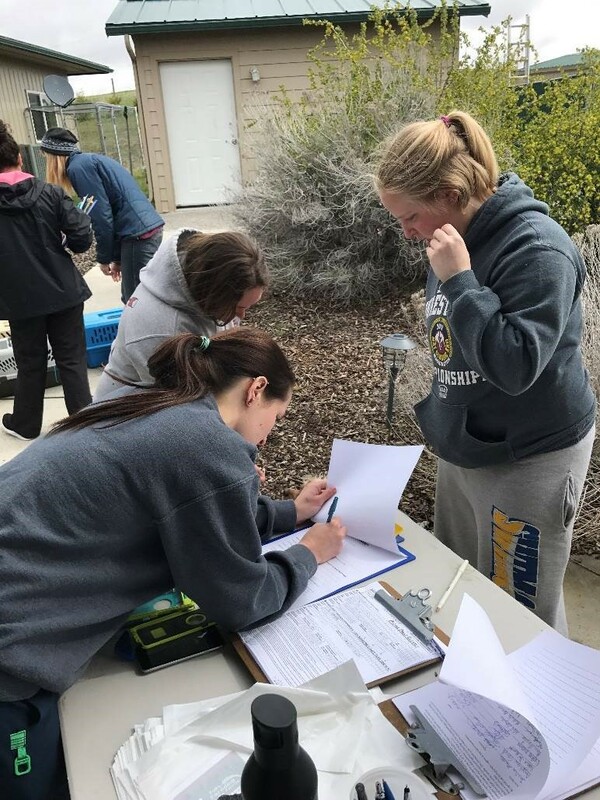 This was a very beneficial learning opportunity for the participating veterinary students—they were able to practice animal handling techniques, learn proper microchipping methods, and improve communication skills. In addition to the educational benefits, $1,065 was raised for Whitman County Humane Society. With ASV’s donation to purchase the microchips, all of the proceeds were able to go directly to supporting the shelter. Thanks to the large crowd drawn by the microchip clinic, WCHS concurrently hosted a garage sale, which brought another sizeable donation to the shelter. The clinic was a positive experience for all involved. Community pets were able to receive affordable microchips and veterinary students honed their skills, all while raising money to benefit shelter animals. The event would not have been possible without the generous ASV funding for the low-cost microchip clinic. Diesel Got his microchip at our clinic. 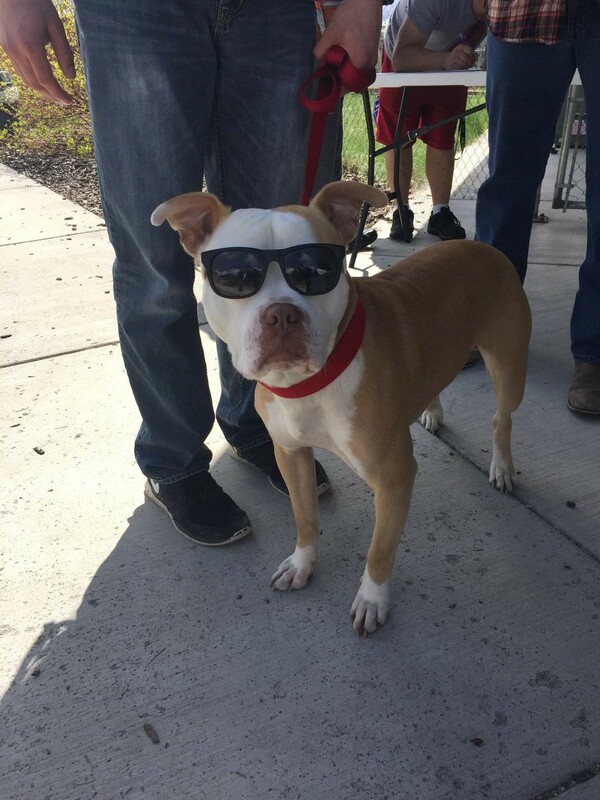 He loved wearing his sunglasses! He arrived wearing them and didn't seem bothered by them at all. Pretty cute! 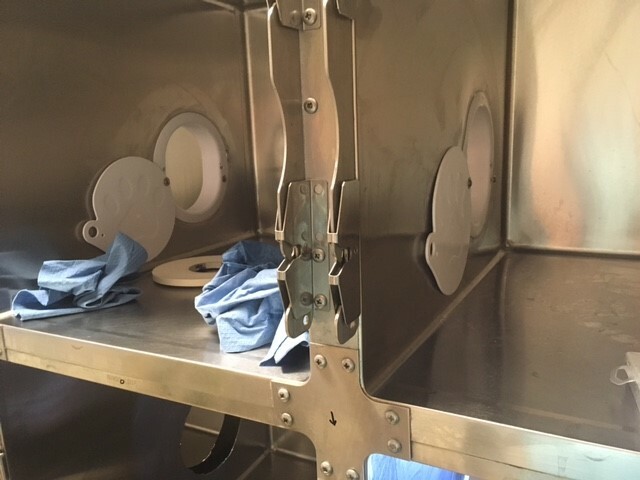 The ASV Student Chapter Grant was used to install pet portals into 20 cages at the Young Williams Animal Center. The pet portals double the living space for cats in the shelter. The installation of the pet portals will allow the cats a separation for their litter box area and resting area. Increasing usable space for the cats decreases stress, improves their overall health, and increases adoptability. Improvements in feline housing also benefit the shelters by decreasing the number of illnesses caused by stress, which decreases the amount of staff time and costs necessary to treat the animals. The improvement in housing increases the adoption rates due to healthier, more content cats. Young Williams Animal Center takes in and adopts hundreds of cats each year. 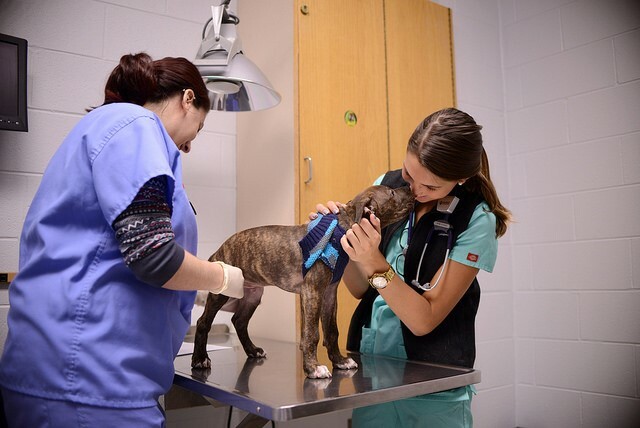 Every year, dozens of students from the University of Tennessee College of Veterinary Medicine volunteer and participate in clinical rotations at the shelter. 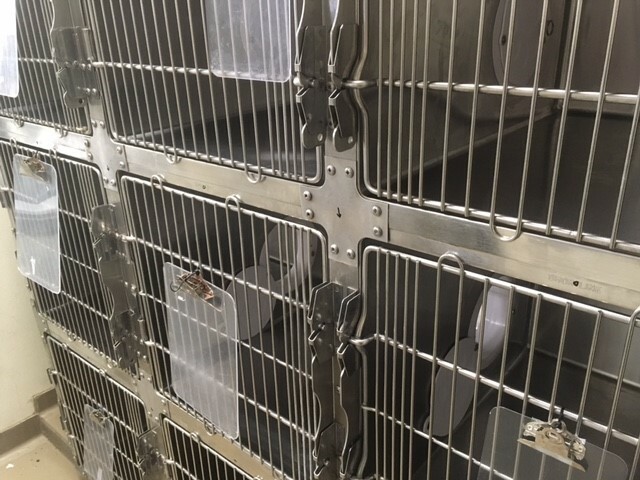 These students will see the impact the improved housing has on the cats and become advocates for using cage modifications to promote the health, quality of life and adoptability of shelter animals. 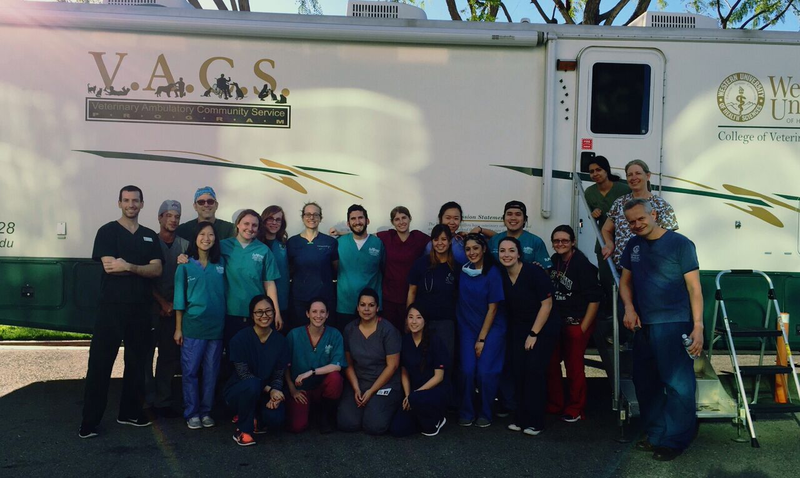 Thanks to support from the ASV, the Midwestern University College of Veterinary Medicine’s ASV student chapter provided instruction in medical Spanish to 27 students, and funded supplies for a two-day mobile clinic trip to Bisbee, a small mining community on the Arizona-Mexico border. In March, we visited with our team of two doctors, one technician and eight students. Our team spayed and neutered 54 dogs and cats, and performed 78 additional vaccine, wellness and minor medical exams. We were hosted by Friends of the Bisbee Animal Shelter, who helped to target services to members of the community most in need. Through this partnership, we reached families whose pets had previously produced unwanted litters, as well as families that could not afford preventive care. Those animals are now living safer, healthier lives due to the reduction in the risk for reproductive diseases, undesirable behaviors, and infectious disease. The shelter also benefited from the targeted sterilization of animals that had previously surrendered unwanted litters. Students received hands-on education in high quality high volume sterilization surgery, physical exams, vaccination, blood draws, anesthesia monitoring, post-op recovery, and client communications. There were also several opportunities for students to practice their medical Spanish. Most importantly, students helped to establish a relationship with the Bisbee community that will allow us to continue to work together to help local owners and their pets, improving the wellbeing of animals in the community by reducing the number of unwanted litters and infectious disease. Our next trip is scheduled for July. 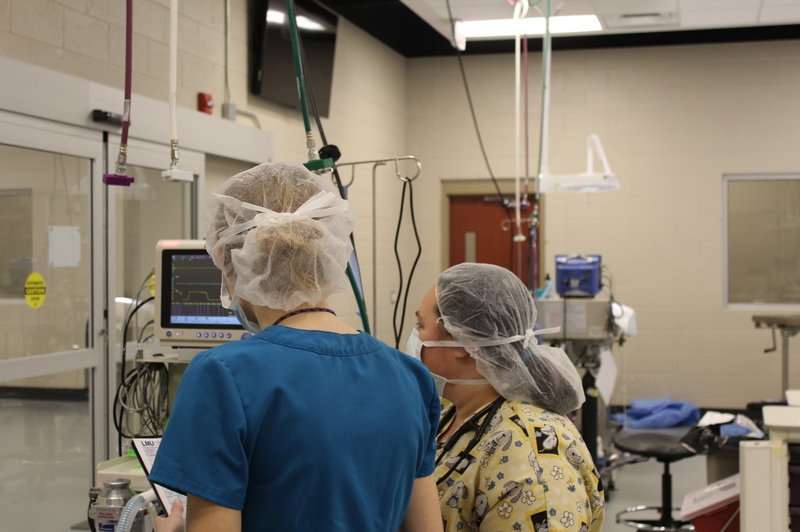 Thanks to the generous grant provided by the Association of Shelter Veterinarians, the Shelter Medicine Club at Lincoln Memorial University- College of Veterinary Medicine held the second annual “Spay it Forward” event. This year, all twenty-eight animals from the local shelter were provided with veterinary care they would not have otherwise received prior to adoption. 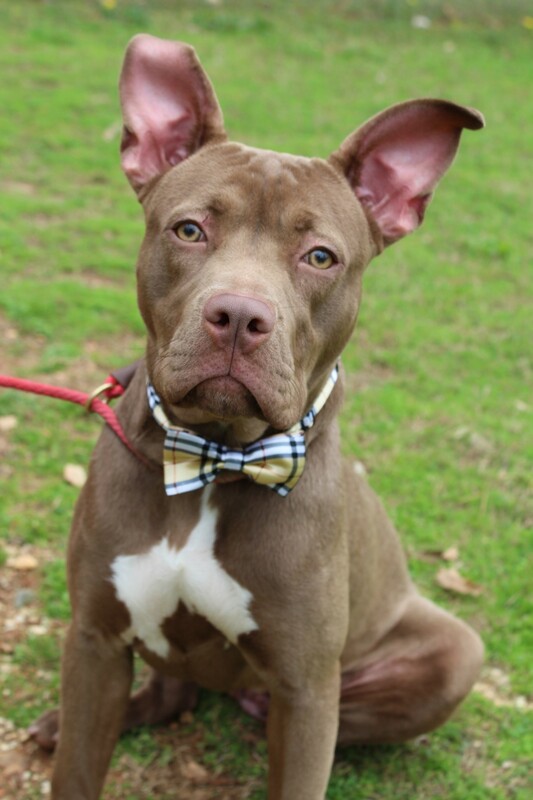 Currently, the shelter’s protocol is to adopt out animals with a spay/neuter contract, which includes the surgery and vaccines, and then it is up to the new owner to make an appointment at a local clinic to complete these services. Often, we see animals that have been adopted from the shelter as a puppy or kitten return a year later with offspring of their own. One of our goals is to implement a system where all animals are altered and vaccinated before leaving the shelter. All animals were tested for heartworm disease or common feline diseases, neither of these tests are typically included in the shelter’s adoption fee. The animals vetted at “Spay it Forward” had subsequently reduced adoption fees, which helped facilitate their adoption processes. The students at LMU-CVM benefited significantly from this event, as well. 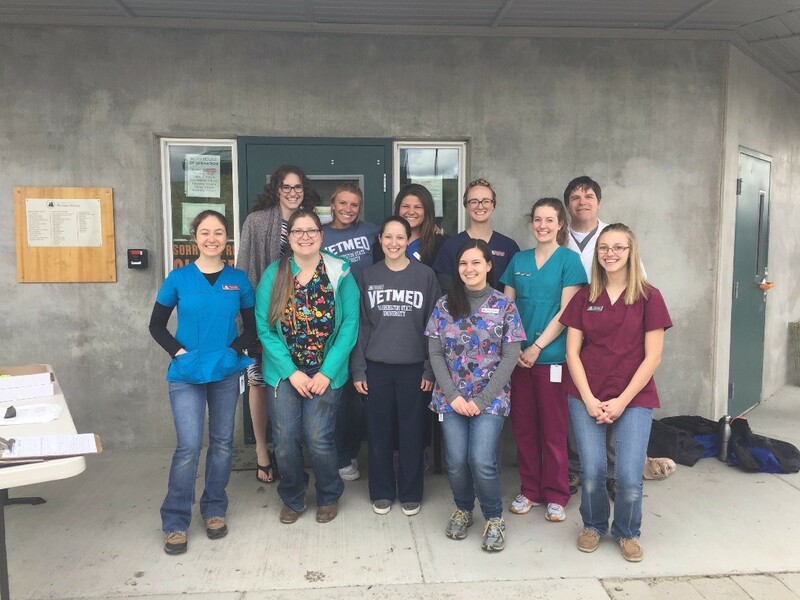 Faculty veterinarians and registered technicians on staff donated their time to help the animals and teach the ten veterinary students that participated in the event. The students learned and practiced skills in all parts of the vetting process. 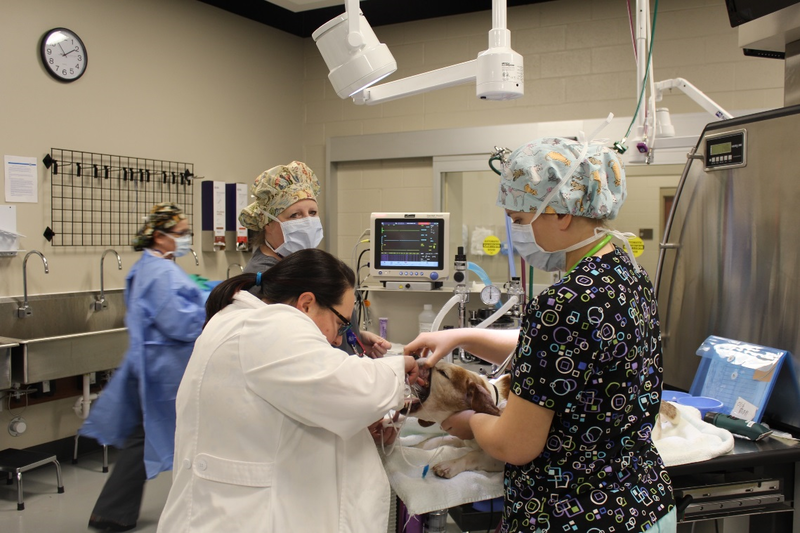 From pre-medication of patients, to intubation and anesthesia monitoring, the students benefited as much as the animals. Two techs helping a first-year veterinary student with intubation. Students help one another monitor the patient under anesthesia A second-year student getting practice at monitoring under anesthesia. Auburn University’s Shelter Vets Club began the Love the Lens program in February of 2017 thanks to a generous grant from the Association of Shelter Veterinarians and the ASPCA. Quality photographs of shelter animals have been proven to help them get adopted and rescued, so our veterinary students in the club have become amateur photographers! These photos, along with the creative props we have purchased, create a fun and engaging way to capture the eye of rescues and adopters. 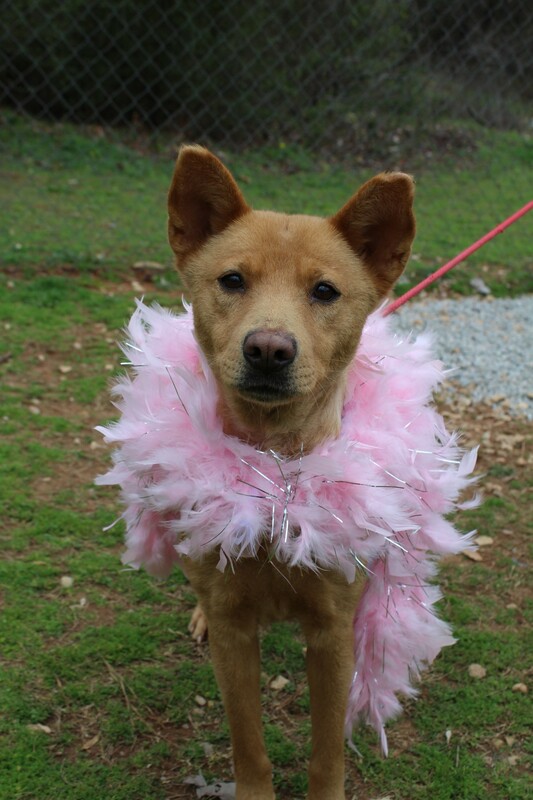 They allow the animals at Lee County Humane Society, our local shelter, to stand out among the crowd! This is an ongoing, weekly event that keeps our students engaged with the shelter and helps the animals decrease their length of stay at the shelter. Each quarter, 600+ animals walk through in the doors of Lee County Humane Society. 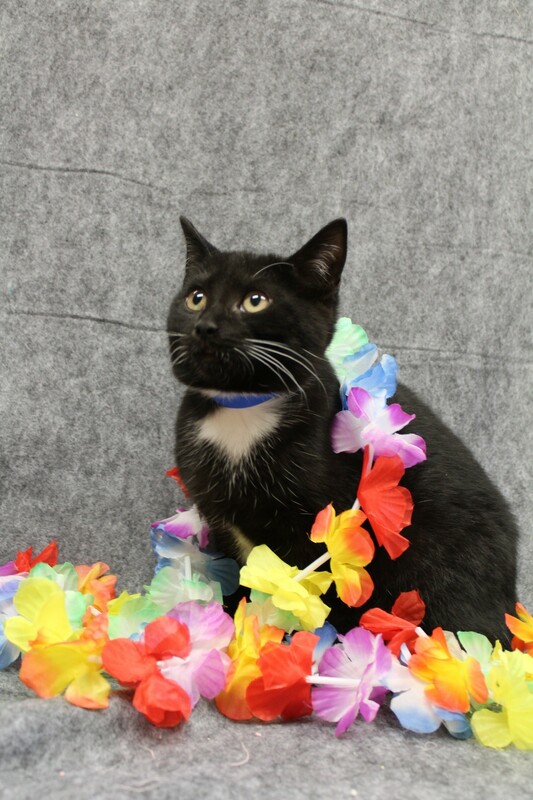 Each of these animals have their photos taken and posted to the LCHS website and all over social media, helping them to find adopters and rescues more quickly. We have 39 participating students in our club, who each take (at least) 1 week to photograph the new intakes at the shelter. Our students are able to see, firsthand, the pet overpopulation problem and the vast amount of animals that come in to our local shelter each week. In celebration of World Spay Day, the WesternU Student Chapters of the Association of Shelter Veterinarians, Humane Society Veterinary Medical Association and American Association of Feline Practitioners teamed up to organize a trap-neuter-release event for the Pomona community. With the help of FixNation and Inland Valley Humane Society, students set traps surrounding Western University’s campus. Community members also brought cats from surrounding communities. In all, 50 Pomona community cats were spayed/neutered, vaccinated, and released. Additionally, several cats received life-altering medical intervention, including abscess treatment and even one enucleation. This exciting collaborative event was made possible with the help of over 35 WesternU CVM students, technicians, and veterinarians. 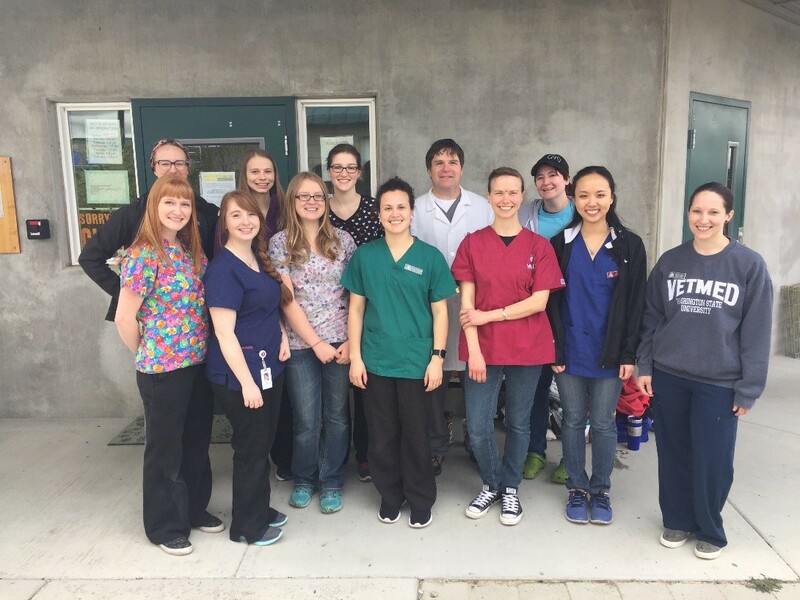 First, second, and fourth-year veterinary students worked with professors to complete the entire process of TNR, including trapping, assessing, vaccinating, sedating, performing surgeries, and releasing feral community cats. 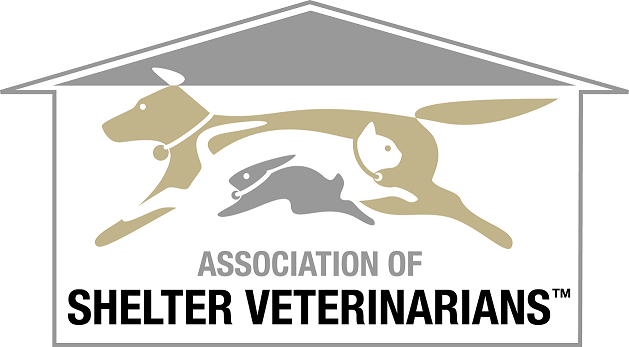 Sincerest thanks to the Association of Shelter Veterinarians and the Humane Society Veterinary Medical Association for the grants they provided to help fund this extremely successful event! 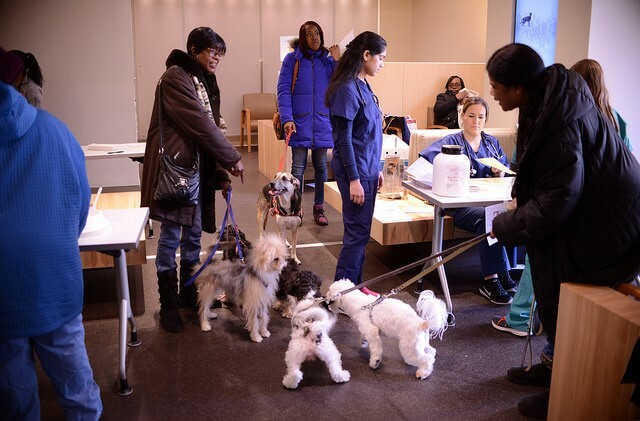 Every year on Martin Luther King Jr. Day, the University of Pennsylvania School of Veterinary Medicine hosts a free vaccine clinic for the pets of Philadelphian. 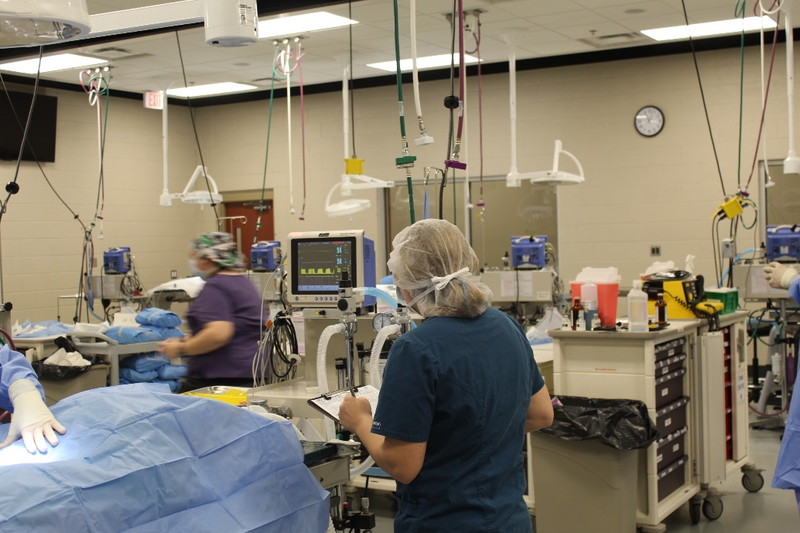 Information about the clinic circulates in local churches and other community centers to help connect pets in need with preventative veterinary care. In order to honor the purpose of the Martin Luther King Jr. Day of service, this clinic aims to target pet owners with limited access to veterinary care. 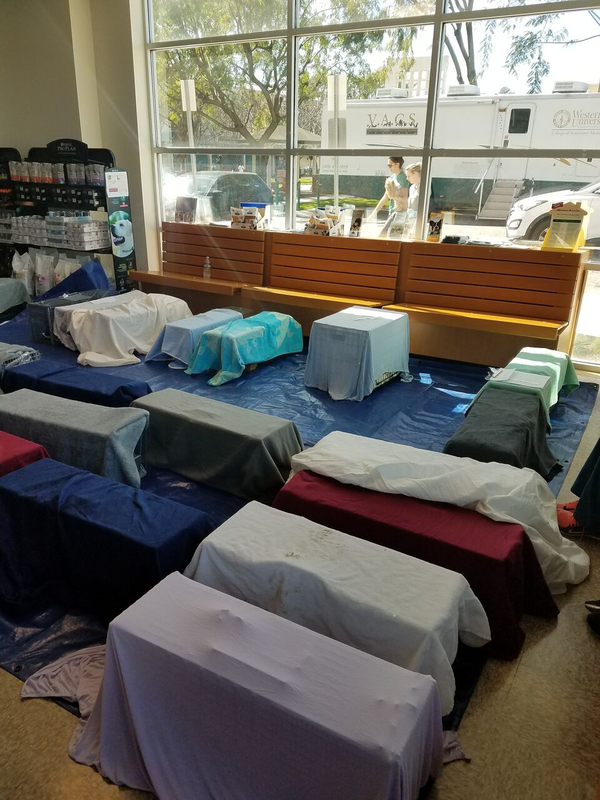 This clinic also offered free microchips to help keep pets connected to their families in perpetuity as well as low-cost flea and tick preventatives. With the implementation of preventative care and microchips, this clinic helps keep pets healthy and safe, even after they leave the hospital. 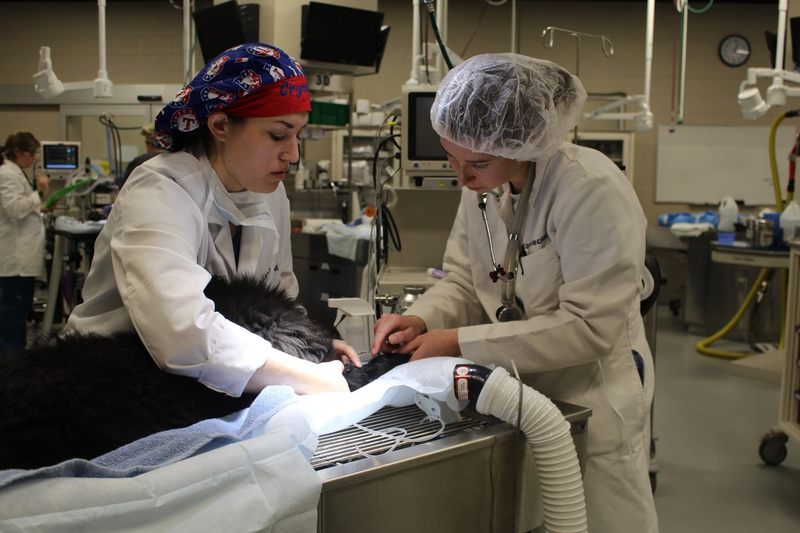 This clinic involved both students and clinicians at PennVet. 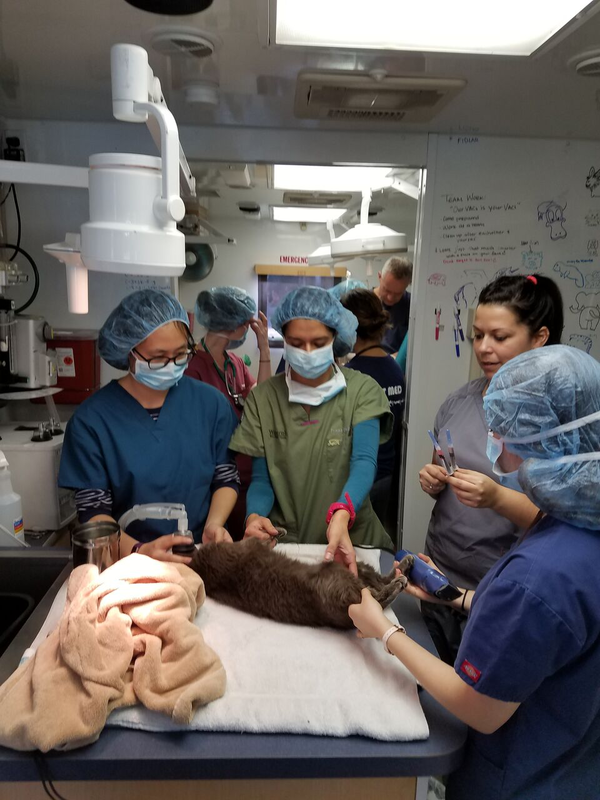 A team of seventy veterinary student volunteers took the lead in examining, vaccinating, and microchipping these animals, while clinicians at PennVet’s Matthew Ryan Hospital provide supervision and guidance. 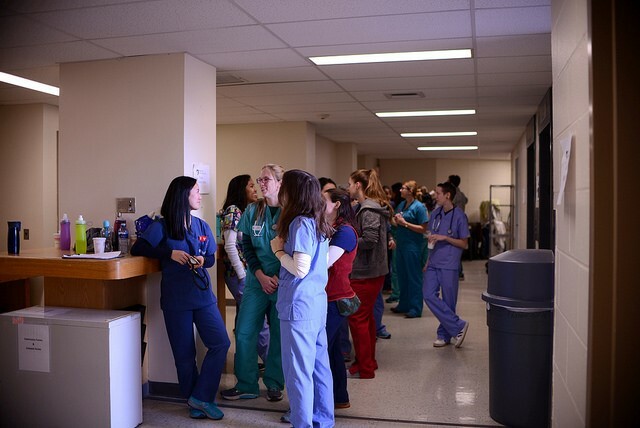 In this way, this event provides a healthcare opportunity to the pet community of Philadelphia as well as a learning experience to many veterinary students. This year, the clinic saw a record of 217 pets, representing many families throughout Philadelphia. Many clients say that they will return next year to ensure that they keep their pets’ vaccines up-to- date. The school has already begun planning next year’s clinic and hopes to once again serve a record-breaking number of pets and their humans.